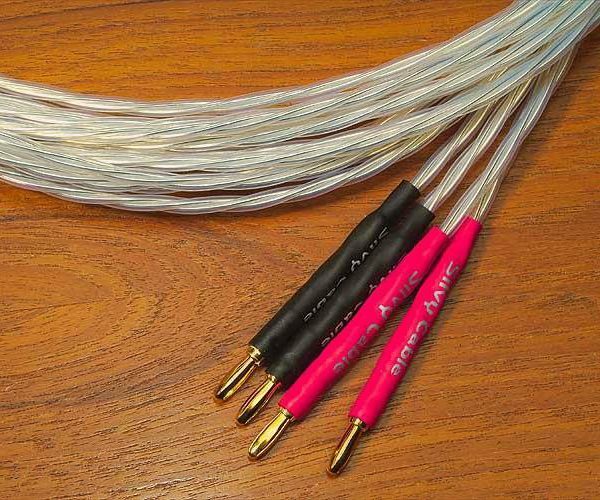 A “set” consist of four separate cables (4×14 AWG). 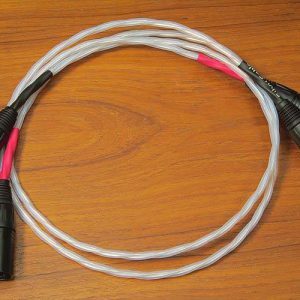 Consists of four separate leads (4×14 AWG). 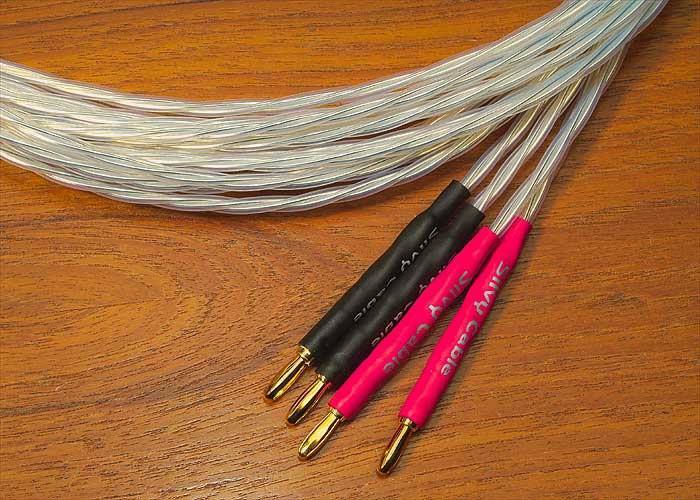 Each cable uses 3 solid core pure silver conductors. 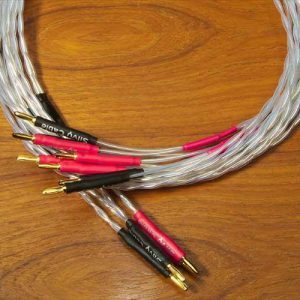 Separate positive and negative cabling for each speaker allows a great improvement of clarity, ambience and tonal neutrality. Teflon®/air insulation (PTFE tubes). 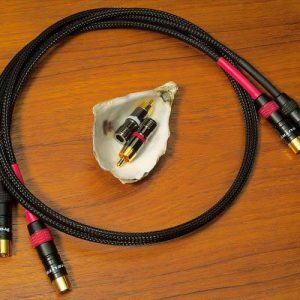 Terminated with Cardas™ spades made of Rhodium plated copper, or with Gold plated banana plugs (as shown).